I have the option to select the level of coaching badge I want at the beginning of a career. However, the game will revert this back to the Bronze level. 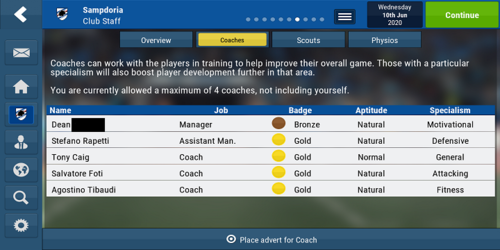 You can gain your gold badge by selecting your manager profile and then selecting the 'Take Coaching Exam' button.